How to keep your hairdryer clean? - how to guide !! →How to Keep Your Hairdryer Clean? Keeping your hair care products clean is so very important to how your dryer runs and operates long-term, so go ahead and have a little read on how you can maintain your hair dryer for peak performance and to get the best hair styling and drying outcomes! How often should we be cleaning our Hair Dryer anyway? Daily? Weekly? Monthly? Or does it depend on the frequency of use? Well to answer those questions we do indeed have to look at each unique usage routine, as obviously high use will equal more lint in the filter. On average, it is recommended to clean your hair dryer in proportion to usage. So hair salon owners typically have their hair dyers cleaned weekly (at a minimum), but for home hair drying, there’s usually much less exposure to lint (less people, less build-up), so once or twice a month is more than satisfactory in most cases. But then, how to clean your hair dryer? The filter can look intimidating! Well the truth is that it is much less intimidating than it seems. What you need is a warm hand towel (note: not wet! Damp. ), ensuring that the hair dryer is unplugged (of course), and simply remove the back of the hair dryer, also known as ‘the filter’. Usually the filter will twist off in a rotation motion, or, via an unlatch/unclip lift. But please, be sure to remove the filter gently, to avoid any breaks or cracks on your hair dryer. Once you have it opened, you will find various bits of dust, lint and material that have accumulated over time. Simply swipe the warm damp hand towel over the area, picking up all materials. You can then wipe again with a dry section of the hand towel, ensuring everything is removed. For heavy-duty, high use hair dryers it is recommended to clean more frequently. In addition, to get the entire residue, you may need a more delicate, malleable object to pick up trapped lint. 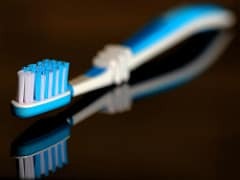 This is where an unused, clean toothbrush head can be very effective! Again, any time you are cleaning your hair dryer, please be sure that the plug is not in the wall at all. It is not enough to clean with the power off; the cable must not be in the wall – for your safety. Once your cleaning is all done and dusted (lint dusted, get the joke? ), you can then return to filter cap to its original position. Whether it’s a latch, clip or rotate closure, just be sure to do it gently but firmly. Normally upon closure you will hear a ‘click’ noise, indicating that it is securely fixed and ready to blow dry again! Consider your hair dryer usage. Are you a salon owner, hairdresser, stylist or home hair dryer? The frequency of hair dryer use will determine how often it should be cleaned. It’s an important routine to identify as it can mean the difference between a long hair dryer lifecycle and a far shorter one! 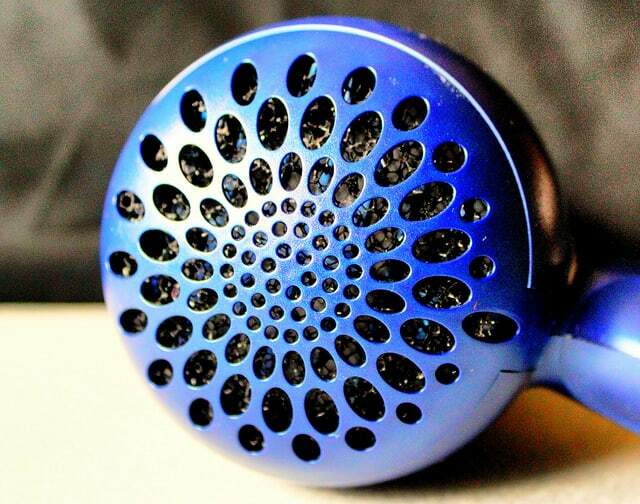 Most home hair dryer owners and hair bloggers attest to once or twice monthly being a sufficient amount of times to clean, refresh and restore the filter. For salon owners, hairdressers and hair care professionals, a weekly clean is more than often, mandatory. The reason that usage analysis matters, is because lint build-up can be highly problematic for hair dryer performance. Where once, a full filter posed a fire hazard, now, most hair dryers pass health and safety commercial standards where that’s no longer a risk. But what remains a worry is how effectively your hair dryer will perform, if it is backed up with debris, dust and foreign materials. It means that your hair dryer effectively works overtime, which is why it’s so important to know how best to keep your hair dryer clean. This is essentially all that you fabulous hair professionals need for your weekly cleaning sessions. Just be sure to wash each item after use for a longer life on each tool. Because with less exposure to commercial variables, lint is far less likely to build up beyond control! 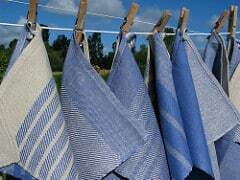 An area that is neglected often more than the filter of a dryer, is the outside of it too! When cleaning, take time to give the hair dryer a warm hand towel wipe-over on its superficial layer. Once again, do ensure that the hair dryer is not plugged into a wall socket. All cleaning must be done without exposure to electricity (even when off!). By cleaning and caring for your hair styling tool, not only are you giving the product a longer life, but you are also increasing its performance capabilities! When a hair dryer is full to the brim of lint and other materials, it has to work overtime to generate just a fraction of the functionality you one enjoyed when it was first purchased. There is a noticeable change when it’s full, you can hear it. If you hear your hair dryer ‘struggling’, don’t ignore it. Just give it a good clean and try to adopt a usage to clean ratio that is sensible. 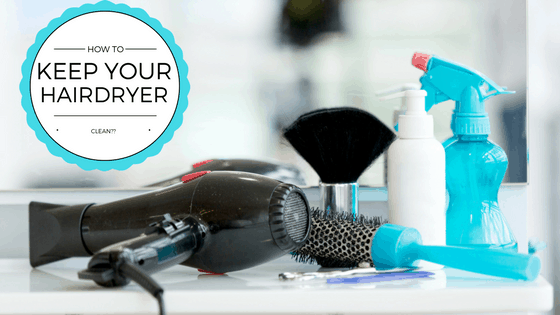 By following these instructions and tips, you can save yourself money by simply maintaining the hair dryer that you already own. Will just a little re-investment energy in caring for your hair dryer, you can enjoy the original power that you experienced upon first purchase.